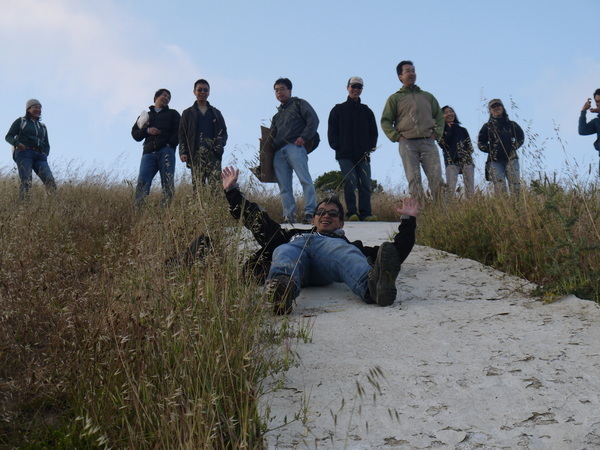 Last Thursday on April 26th a group of 11 folks from the bay area joined in with the group MEETUP and enjoyed the opportunity to hike our Sign Hill. This had been a first time for most of the climbers and they were excited to try out our time honored fun of sliding down the letters. Time honored rite of passage! If you missed that evening hike, not to worry. We have another opportunity coming up this Saturday May 4 at 11am until 1:30pm. While the last hike was more for fun, this one will provide a bit more education on this jewel in the middle of our concrete jungle. At the May 9th 2012 City Council meeting the resolution #35-2012 was passed unanimously by our Council designating the endangered Mission Blue as our city’s official butterfly. 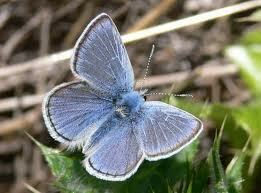 Come learn first hand about our City’s Mission Blue Butterfly as well as others that call Sign Hill their home. This hike is free and is open to the public. For more information contact our South City neighbors Loretta and Chuck at lorettaandchuck@sbcglobal.net. 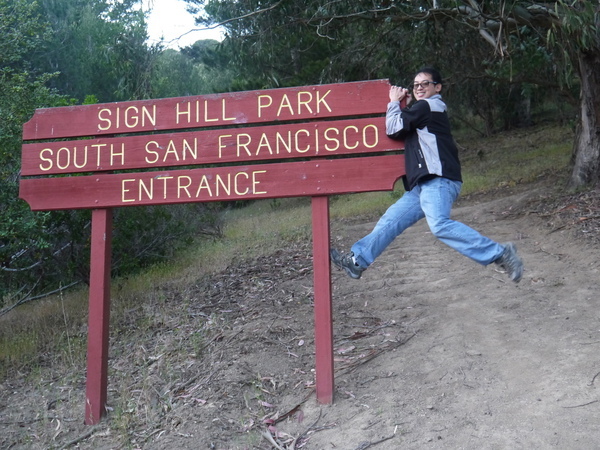 ‘O’Brien is excited to explore Sign Hill in South San Francisco. 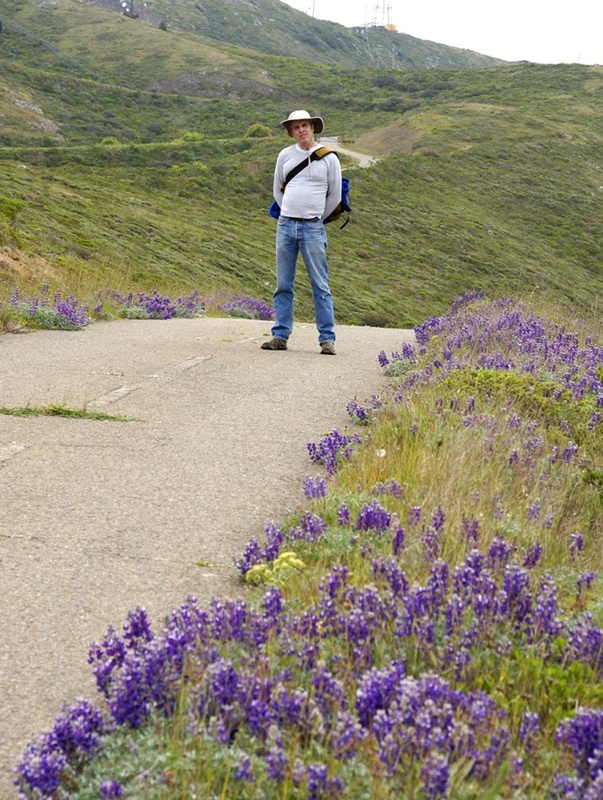 He will give an enthusiastic in-field course in Butterfly 101 while we explore Sign Hill’s plant communities in search of some of the first Mission Blues (Icarica icariodes missionensis) of the season – an endangered species. 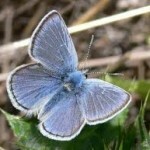 Join us to learn butterfly behavior, host plants, how to distinguish between Mission Blues and Silvery Blues (Glaucopsyche lygdamus), and more. Co-leaders Chuck Heimstadt and Loretta Brooks are active San Bruno Mountain Watch volunteers and also members of the Yerba Buena Chapter of the California Native Plant Society, the sponsor of this walk. Chuck and Loretta have an intimate interest in Sign Hill – it’s in their backyard! Butterflies only fly when it’s sunny, so overcast skies or stiff breezes will postpone the walk until May 11th – and inclement weather on May 11th will cancel this walk. Bring lunch – we will take a break to enjoy the view. Be prepared for the weather – bring warm clothing and layers. 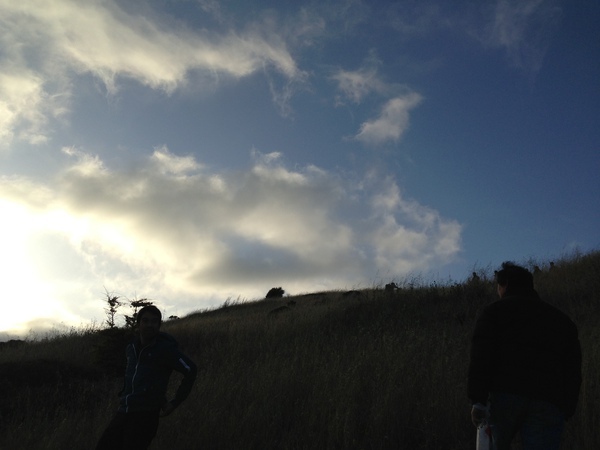 Meet at 11am at the Stonegate (west) entrance to Sign Hill Park – exit off Hillside Boulevard in SSF onto Stonegate Drive and continue uphill and to the left until you reach the end of Ridgeview Court. There is a small parking area with 7 spaces and plenty of street parking. 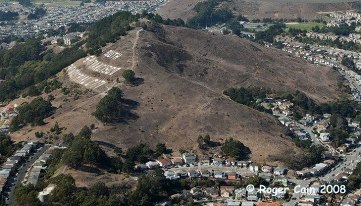 There is also a local FRIENDS OF SIGN HILL Website and active FACEBOOK Page dedicated to the preservation of our Sign Hill. Not many people realize that the northern slope is owned by developers that look forward to building on our hill. The 46 acres contain 3 separate lots. Recently the eastern lot (above Beech, Diamond, Telford near the water tanks) was sold off in foreclosure for less than $1M for the approximate 20 acres. 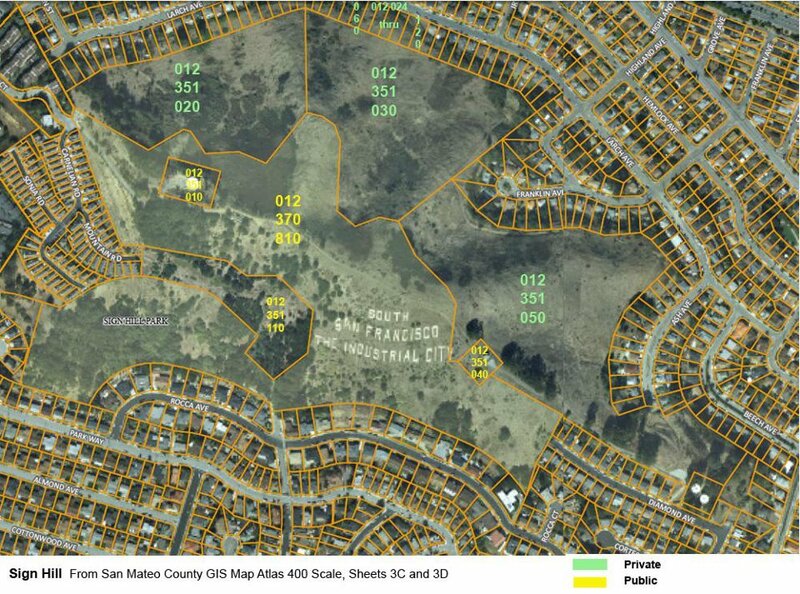 It is not beyond reach that all three of these lots be purchased at fair market value and preserved as open space. The numbered parcels are held by private investors. 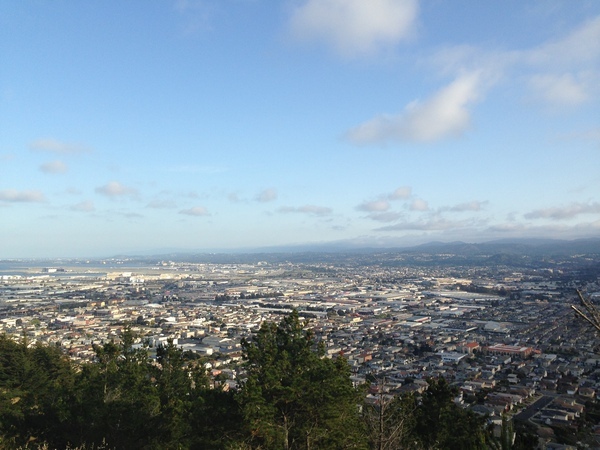 Friends of Sign Hill has partnered with San Bruno Mountain Conservatory to find investors to purchase these properties at fair market value and to preserve for the enjoyment of generations to come. The will is there, we only need to find investors. 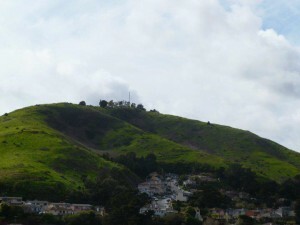 The lush northern slope is owned by potential developers. Protecting this piece of open space is important! We should not let the interest of private develpers trump the pubic’s interest to open space areas. 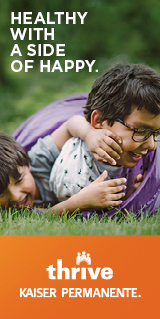 These values are part of what makes the SF Bay Area such a wonderful and special place to live. We should not let the interest of private developers trump the pubic’s interest to open space areas. These values are part of what makes the SF Bay Area such a wonderful and special place to live. 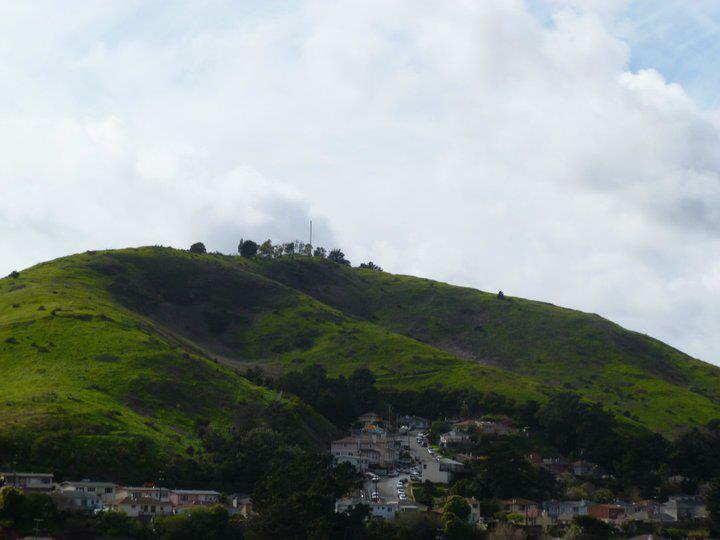 Stop the developers from ruining yet another beautiful openspace. Haven’t they already done enough damage with all the lookalike “little boxes” and treeless streets.